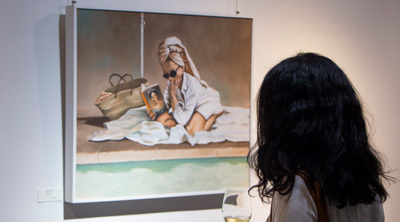 On Thursday 4 April, we opened 'Poolside' - a solo exhibition by Mila Posthumus, with wine kindly sponsored by Reyneke Wines. 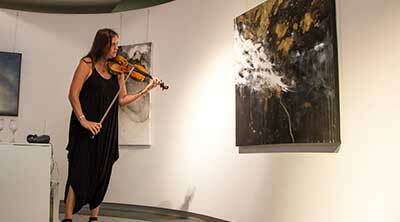 Liffey Joy created a live painting in response to the sound from the Beosound Edge - a new speaker by Bang & Olufsen. 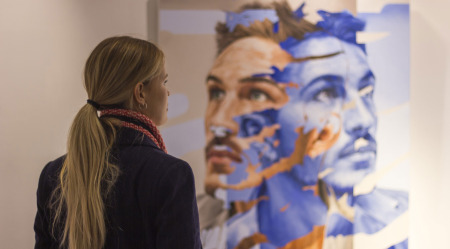 On 7 March 2019 we opened NEXUS : a solo exhibition of new portrait paintings by Durban-based artist Corné Eksteen. 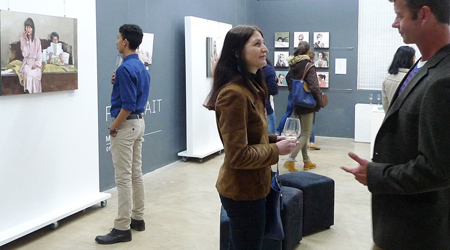 On 12 February we opened 'LAND' Lisette Forsyth's third solo exhibition with StateoftheART, and coinciding with ARTWEEK in Cape Town. 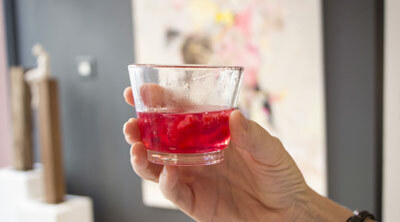 On Thursday 7 February we hosted a Gin Tasting with local brand Ledi Craft Gin and had a selection of art on show. On 1st November we opened the group exhibition UNDERCURRENTS - with work on show by Tanya Sternberg, Chris Denovan, Jeannie Kinsler and Joanne Reen. In October 2018, StateoftheART hosted two human-size Matryoshka Dolls courtesy of the Russian Federation as an art project in support of their bid to host the World EXPO 2025 in Russia. The StateoftheART Gallery Award Finalists Exhibition opened on 6 September, with two works on show from each of the ten finalists. 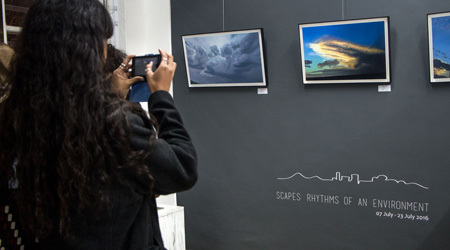 It coincided with First Thursdays in Cape Town. 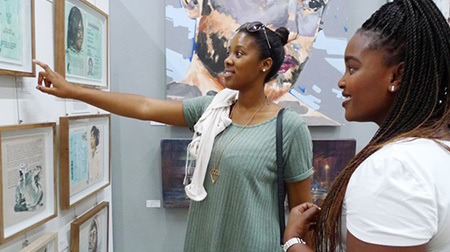 On 2 August we had a diverse selection of bright new work on show for First Thursdays, and celebrated our first anniversary in the Buitenkant Street gallery space. 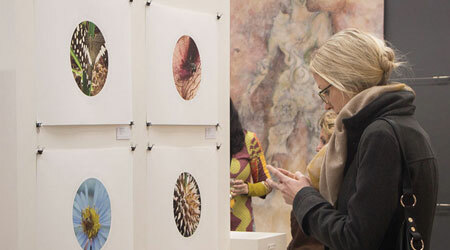 On 7 June as part of First Thursdays, we opened SUPER NATURE, a group exhibition of paintings by Catherine Ocholla, Karen Wykerd and Joanne Reen. Howling Media took some photos of the event. 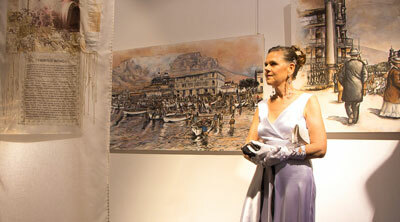 On 3 May we opened 'Immure' - a solo exhibition by Minien Hattingh. 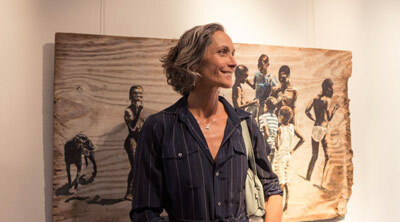 On 1 March 2018, StateoftheART opened the solo exhibition of Lizelle Kruger, entitled 'Cape Town Memoirs and Dangerous Liaisons'. With opening speeches by C T Gilfellan and Simon Norton. 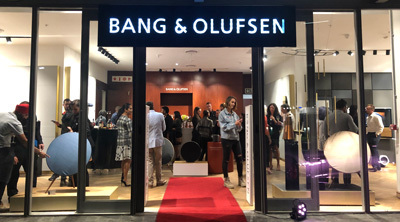 StateoftheART participated in the #CoCreateSA DESIGN FESTIVAL, which aims to celebrate and examine the power of design to tackle current socio-economic and environmental challenges within an African context. Elinor Spears performed at the exhibition opening of The Marks We Make on 25 January, improvising a musical response to the artworks on show. 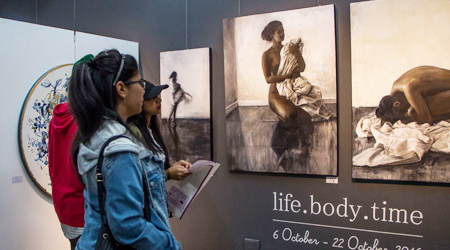 For our October First Thursdays on 6 October we opened LIFE.BODY.TIME, a group exhibition of work by Bettie Coetzee-Lambrecht, Chris Denovan, Michaela Rinaldi, Jodi Hugo, Janna Prinsloo and James de Villiers. 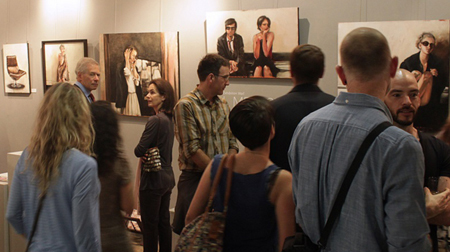 On 1 September we opened a solo exhibition of new paintings by Mila Posthumus, entitled PORTRAIT. For our August First Thursdays on 4 August we opened ANIMALIUM MAGICIS - a truly enchanting exhibition by Sally Rumball. 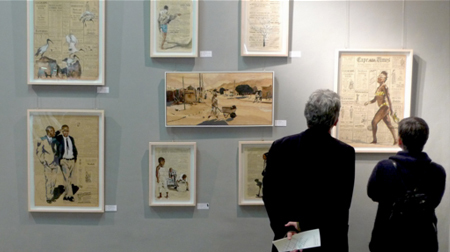 The exhibition runs until 20 August. 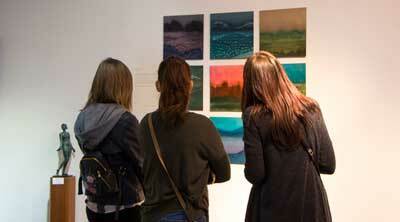 Thank you to everyone who braved the cold to join us for the opening of 'Scapes: Rhythms Of An Environment' on 7 July. 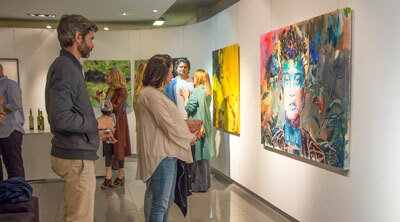 Artists: James de Villiers, Karen Wykerd, Joanne Reen, Catherine Ocholla, Janna Prinsloo, Laurel Holmes, Lezanne Kotze. 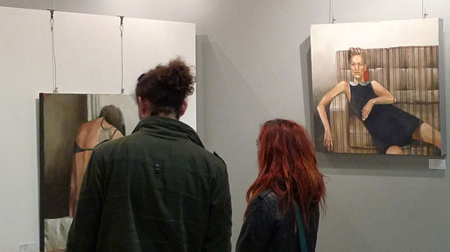 On June's First Thursdays we opened our first group exhibition for the year, 'Beneath the Skin'. 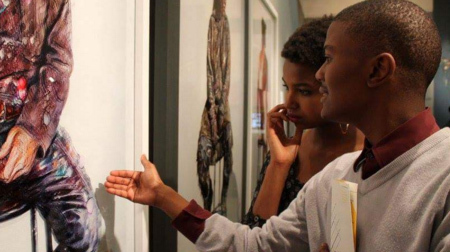 Participating artists: Claude Chandler, Corné Eksteen, Ntobeko Mjijwa, Kendall-Leigh Nash, Gary Frier, Damien Schumann, Sarah Walmsley, and Andrew Ntshabele. 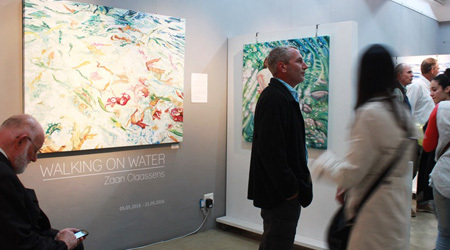 Our May exhibition is a solo exhibition by Zaan Claassens, "Walking on Water". 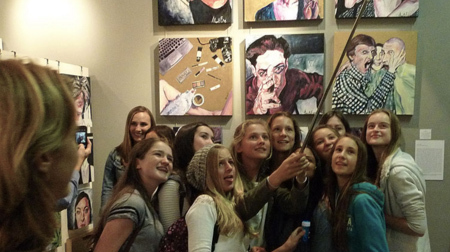 The art of Zaan Claassens is a celebration of life. 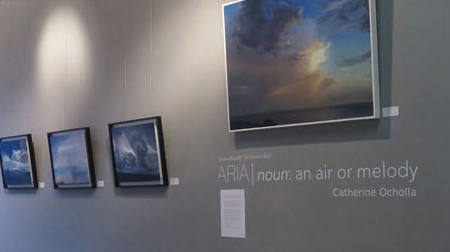 In her exhibition, WALKING ON WATER, her primary focus is on water: what happens on its surface, how it varies, how light plays on it, how its moods change. On 7 April 2016 we opened ORGANISM, the second solo exhibition of Janet Botes. 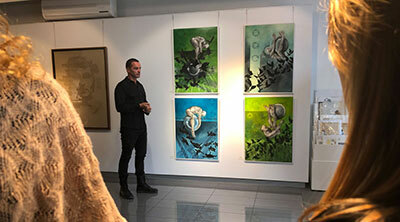 Showing recent work inspired by the scientific-biological nature, but also the spiritual symbolism, of an organism. 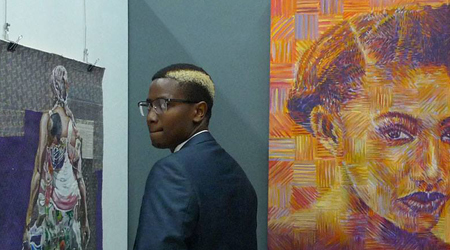 OBSESSED WITH OURSELVES, Chris Denovan's debut solo exhibition was opened by guest speaker Roderick Clayton. Our obsession with faces is part of our visual history, portraiture being one of the most popular subjects of fine art. 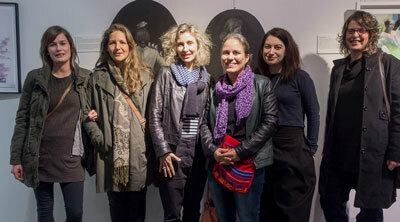 The opening of LOVE THY NEIGHBOUR, a solo exhibition by Lisette Forsyth. 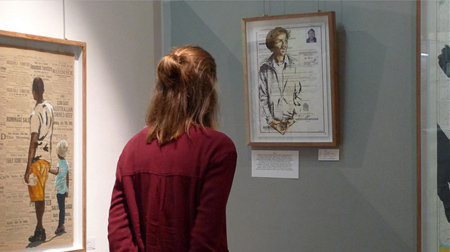 In these works the artist seeks to depict the warmth and personality of her characters in contrast to the coldness of ID numbers, conditions, stamps and crests that document the individuals to whom they belong. 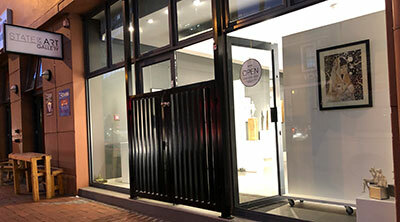 The opening of Stillness and Motion by Mila Posthumus. The scenes portrayed may be quiet moments, like a pause before some action is taken, but, the complexity of the settings hint at the quandary of each situation at hand. The opening of '(Life)Like', a selection of works by Alvira and Alouette Ferreira in which they explore the oscillating relationship between the physical world and virtual reality, focusing specifically on the social media platform of Instagram. 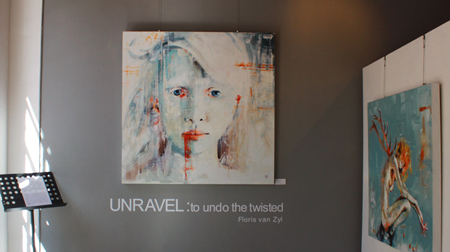 The opening of 'UNRAVEL', a solo exhibition by Floris van Zyl. A series of paintings in which the artist documents his experience of coming out as a gay man. The carefully unraveling of his old life whilst maintaining the relationships he has as a father and husband. The opening of Asking For It? 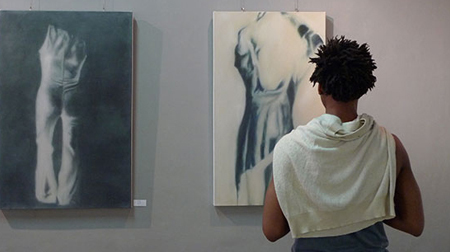 A solo exhibition by Johannesburg based artist Maria Patrizi. This series of work is the artist's response to the excuse often given that clothes are responsible for abuse. 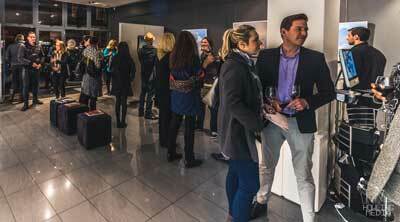 The opening of 'Tell Me A Story' - a solo exhibition by Mila Posthumus at the gallery. ARIA | A solo exhibition by Catherine Ocholla In this series of oil paintings Catherine Ocholla has drawn inspiration from different arias. Turning her gaze upwards she has captured a detailed representation of the dramas playing out in the sky. Ocholla acknowledges the influence of Turner, the ‘master of light’, with his ability to capture and freeze-frame drama and emotion in his landscapes. Janet Botes has been a StateoftheART artist from our early days. 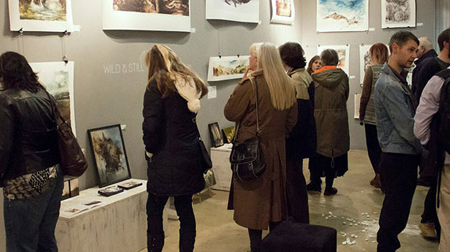 Janet's debut solo exhibition WILD & STILL opened on the 5th of June with an introduction by VIP guest Strijdom van der Merwe and a performance art piece by the artist herself.